As more and more speculations are ongoing as a fall out of the attempted military coup in Turkey on Friday July 15, the Ufuk Dialogue has reiterated that there is no place for military interventions in democracy. 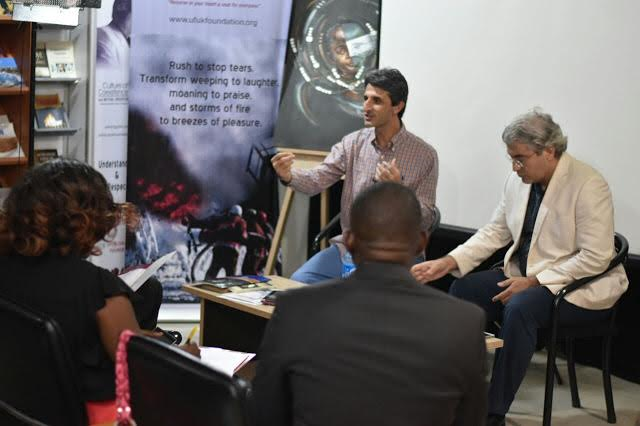 The attempted coup was described as an act of military aggression and injustice by Kamil Kemanci, the President of Ufuk Dialogue in Abuja this week while addressing Bloggers and Social media professionals. In a statement made by Kemanci, he mentioned that Democracy, Rule of Law, Peaceful coexistence, freedoms and Human rights are the core values of Hizmet participants as inspired by the wrongly accused Turkish clergy Mr. Fethullah Gulen who have been on self imposed exile at pennysylvania, USA. 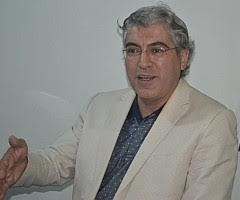 Showing the ideologies of the Hizmet group and the several books written and propounded by Fethullah Gulen, the spokesperson of the Ufuk Dialogue, Cemal Yigit passionately described the Hizmet group as devoid of hate but existing fully for the benefit of humans irrespective of race, religion or creed. Yigit explained that President Erdogan wants complete loyalty, having clamped down on freedom of presss, human rights and equal opportunity and so using the Hizmet participants (which is inclusive) as scape goats. He also explained that Erdogan’s “Obey or Perish” ideology is what he is pursuing at the expense of Turkish democracy and the Hizmet participants believe that every form of extremism, fanatism and radicalism caused by politicizing Islam must be discouraged. The Hizmet participants who run the Ufuk dialogue armed with the their 3–pronged intervention areas of Education, Charity and Dialogue own 17 institutions in Nigeria among which are the popular Turkish College and Nile University which have employed over 2,000 Nigerians in Education, healthcare amongst other sectors. We, Ufuk dialogue, strongly condemn the attempted military coup that occurred in Turkey, on Friday the 15th of July and reiterate that there is no place for military interventions in democracy. The attempted military coup to overthrow the Turkish government was an act of military aggression and injustice. We have always supported the development of Turkey’s democracy despite the increasing anti-democratic practices in recent years. Ufuk promotes Hizmet Movement ( Gulen Movement ) philosophy which has advocated for, and demonstrated commitment to peace and democracy for more than 40 years. We have consistently denounced military interventions in domestic politics. Democracy, rule of law , peaceful co existence, freedoms and human rights are the core values of Hizmet participants. Thua. Ufuk dialogue strongly condemns any attempt to overthrow an elected government by military coup. President Erdogan and his close circles blame on the Hizmet movement is very irresponsible and concerning. We hope that turkey will overcome these difficult days and take this sad incident as an opportunity to strengthen its democracy. Our hearts and prayers are with all Turkish citizens and for all those in Turkey. We also stand for a free and fair democratic system for all Turkish citizens.